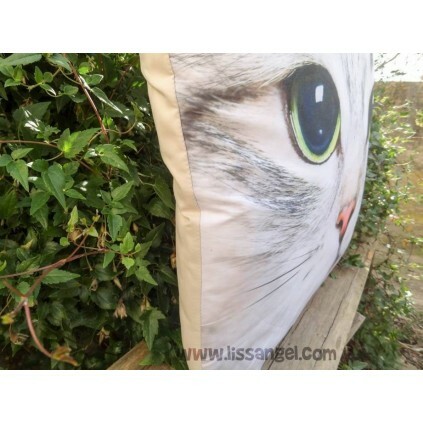 Have you seen the penetrating cat look on this cushion? 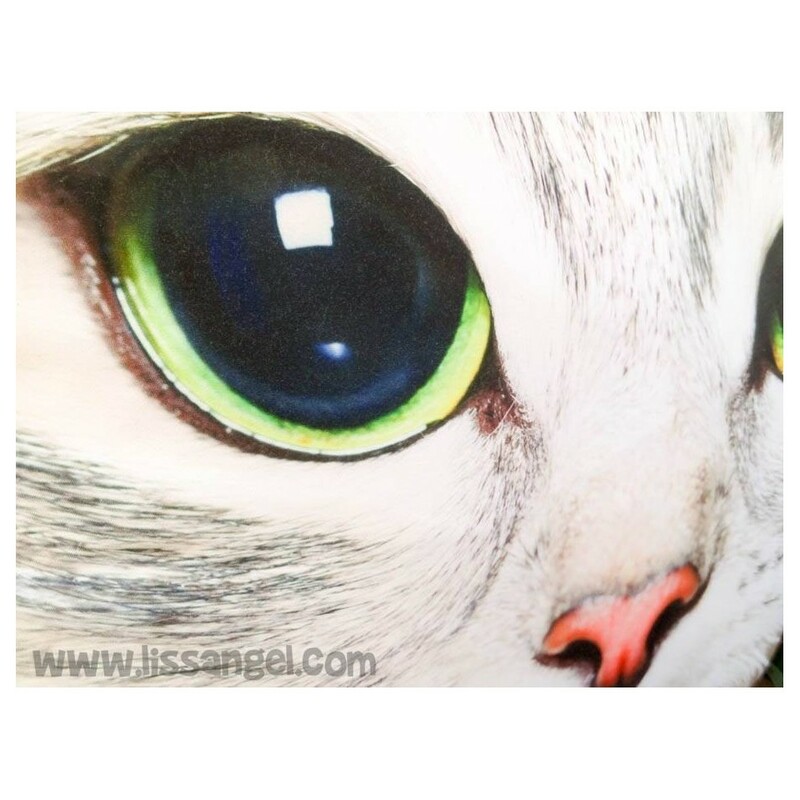 When we bought this product, before adding to our catalog, we were surprised by the quality of the print ... Looks like a real cat! 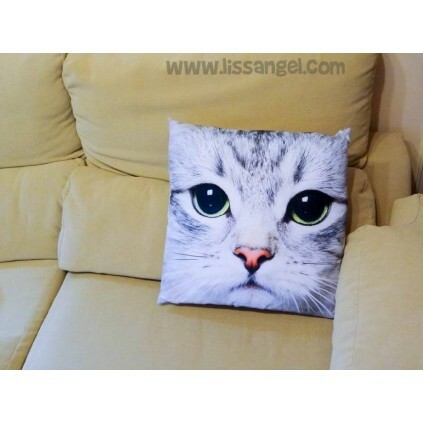 In addition, its large size makes this cushion ideal for use on sofas, beds, armchairs, etc. 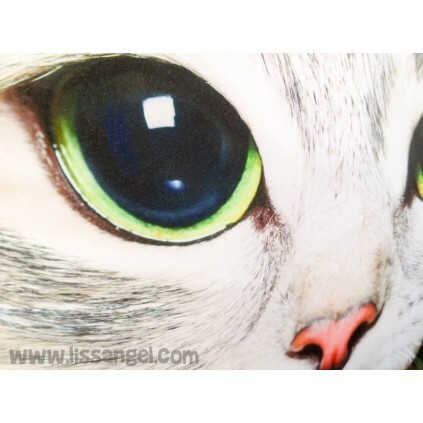 It is very comfortable and, in addition, decorates the atmosphere in a way that every cat lover will love. 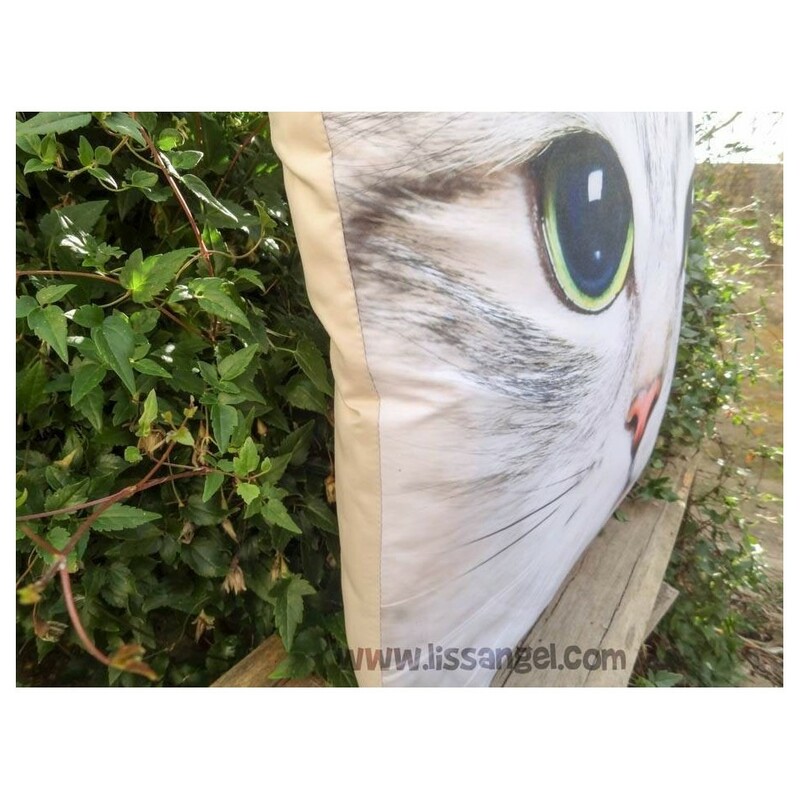 Made of soft textured fabric, it is a complete cushion with padding included. 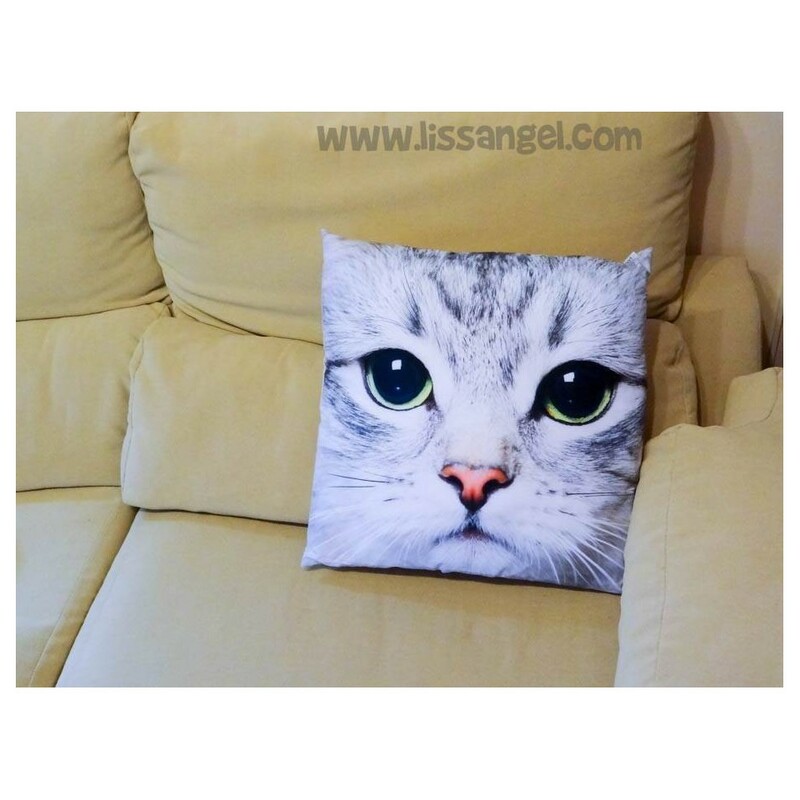 Enjoy our original cat cushions and decorate your home. Filling included, cover with zipper. Do you like the WhatsApp Monkey emoji? 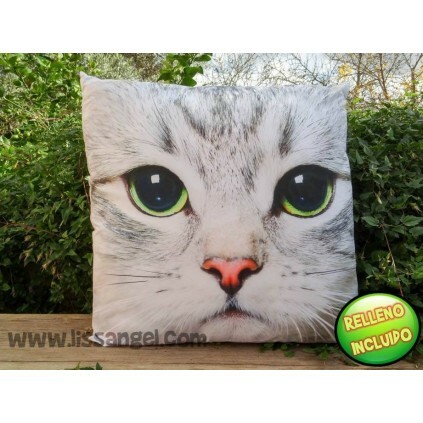 Then you will love this cushion, it is identical to the icon, you can put his hands with velcro in his mouth, eyes, ears... Very funny! We expand our collection of animal cushions with this ideal gift for any dog lover, especially Scottie / Westie dog races lovers. Animal and "Chintz" style in your home with this colorful print cushion with a cute fox. 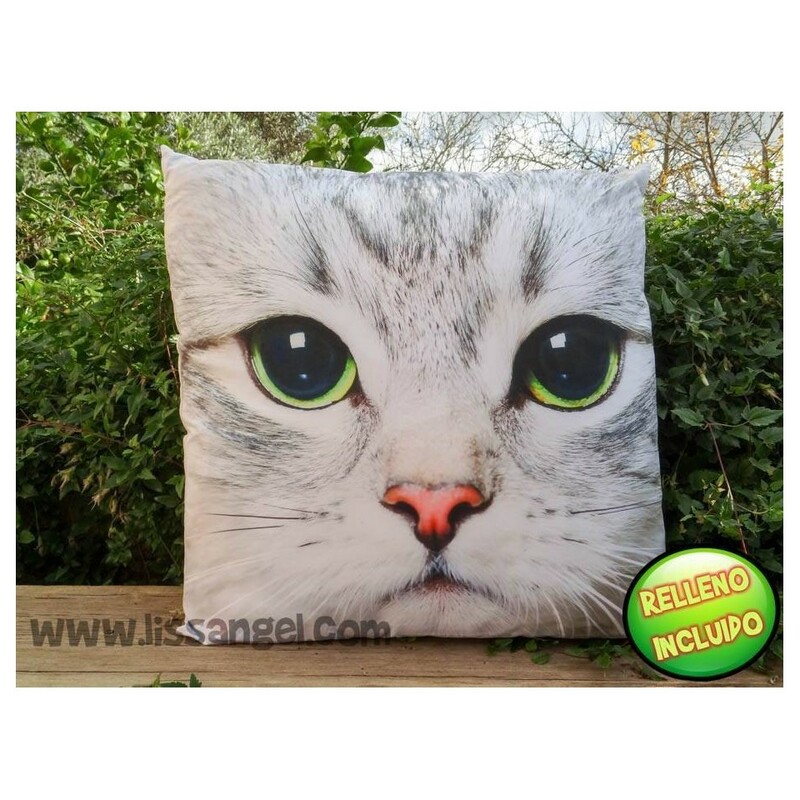 Made of polyester, this cushion with a high-quality printing, will draw attention where you put it.